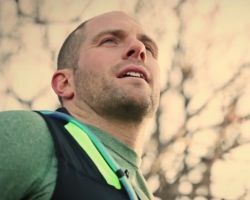 Full-service video production is exactly what you will experience when you hire Omaha Video Solutions as your wedding videographers. From the filmmaking to the editing, this company has a team of experts who work to their strengths to produce the best films possible. This team will not only shoot your big day but truly produce a top quality film directing you slightly to get the most interesting angles for the film that you will cherish forever. Trust this team to capture your big day in the way you experienced it. Capture Wedding Photography & Video is a company completely dedicated to their clients and capturing them in the most honest way possible. They want to make sure that your big day is seen on film exactly how you remember it so it can be relived for many years. As wedding videographers in Omaha, NB, these professionals are able to capture weddings in some of the most breathtakingly beautiful locations but they will always manage to make the couple and their love story the focus of their work and the final film. 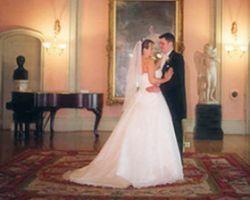 The brother/sister team of Randy and Lori of Moments in Time Images has captured countless weddings. The pair is famous for making their clients feel comfortable in front of the camera and comfortable with the work these professionals produce. For an affordable price, you can reserve this talented team, as not only cinematographers but they also have packages that include photography as well. 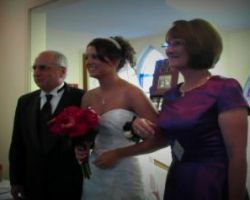 Enjoy personalized service from this easy-to-work-with company for all of your video and photo wedding day needs. Andy and Katie Chaves have a shared passion for weddings and videography, which is why they began Chaves Videography. 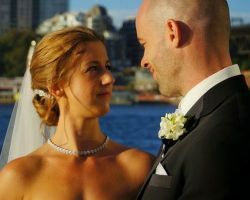 The pair uses their combined strengths and talents behind the lens to capture each beautiful image from your wedding day before editing the most precious moments into a short film. Hiring this company means having one less wedding vendor to worry about as these two know exactly what they are doing and can capture everything without interfering with the flow of things. Your wedding day is an occasion that you will remember for the rest of your life, but in the excitement and chaos of the day, there may be some moments that you missed or are hard to recall. Having an Omaha wedding videographer produce a beautiful timeless film ensures that you will not miss a moment of your day and will be able to relive it for years to come. Digital Memories 4 U is one of the best companies dedicated to preserving wedding memories in personalized films. 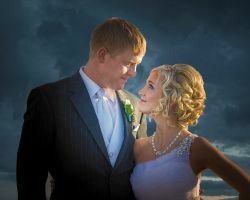 On the big day, each couple has different needs and a different budget to work with, which is why Dave Hynek Video Productions offers packages to suit any couple. In the most basic option, couples will be filmed before the ceremony while they are preparing, during the ceremony and at the reception with 2 videographers for the first two parts of the day. At $1,200, and no time limit, even the most basic package is a bargain price considering the talent and the final product. Having AA Professional Video is the best decision you could make for your wedding day, a claim that has been made by many former clients in reviews of the company’s work. Not only are these professionals easy to work with, but they are also willing to accommodate the couple in any way that they can. You can ask for specific shots of your ring or dress to be taken or simply let these experts handle the filming and the artistry to create the final film. Airesonic Video Productions has vast amounts of experience as Omaha wedding videographers. They are not only familiar with the flow of weddings and the moments that will be the most special but they are also familiar with the venues in Nebraska and are prepared to work with other vendors to get the best angles and shots possible for the final film. With a list of rates and packages, it is clear that this company wants to offer the most comprehensive coverage for clients working with any budget.